In this week’s issue of Famitsu, Masahiro Sakurai published his latest bi-weekly column. The Smash Bros. director goes into a number of topics in his piece. First, regarding the roster, Sakurai mentioned that even though many characters are included, there are some who worry about those who didn’t make the cut. 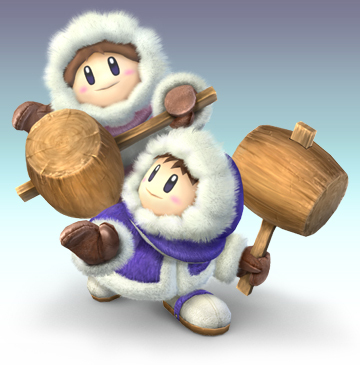 He specifically addresses the absence of the Ice Climbers as well. It seems they were running in the Wii U version, but due to the required hardware power, the team couldn’t make them work in the 3DS game. There wasn’t as high a priority given to series that are unlikely to have another installment at this time. On the topic of different release dates for Super Smash Bros. on Wii U and 3DS, Sakurai mentions that this was for debugging, which was necessary to avoid there being considerable differences between the two versions. If both games had a shared release date, a launch in 2015 may have occurred. Finally, Sakurai shared a tidbit about the trophies in Super Smash Bros. for Wii U 3DS. Akihiro Toda – known for the texts in the Mother series – wrote the descriptions.